When negotiating a commercial lease, many tenants don’t perceive the subletting and subleasing clauses to be of primary importance. This is because they do not foresee any financial difficulties that could call for subleasing or assignment situations. However, the unexpected sometimes happens, necessitating the tenant to reduce rented space or vacate the premises altogether. When that happens, it’s good to have subleasing and assignment clauses with terms that are favorable to all parties involved. Subleasing and assignment are two common commercial real estate terms that have different meanings. Subleasing, which is also referred to as subletting, is a situation where a new tenant shares the rented space with the original tenant. In a subleasing situation, both the original and the new tenant become liable under the same master lease. Assignment, on the other hand, is a situation whereby a corporate tenant grants all his rights and obligations under the master lease to the new tenant. This means that once the new tenant accepts the assignment terms, he becomes solely liable under that lease. Having an understanding of what subleasing and assignment entails is important so that the tenant can know his options should the going get tough in future. Whether the landlord agrees or disagrees to a subleasing or assignment arrangement. The landlord’s consent is of great importance. Does the landlord have a recapture right and what aspects will warrant him the permission to exercise that right. Whether the original rights and obligations of both the landlord and the tenant will change after the space is subleased or assigned to a new tenant. What should occur in the event of a merger between an original tenant and a new tenant prompting for a name change. Who is to handle the subleasing and assignment rental amounts. How should deposits and tenant liens be handled and by whom. Should the new tenant require improvements to be made, who will be responsible? Discussing these aspects beforehand makes it easy for all parties involved, i.e. the landlord, original tenant and the new tenant, to adjust to the changes that arise when subleasing and assignment situations occur. If the landlord and the tenant are not on the same page about what should happen when the need to sublet or assign arises, the tenant is the one that stands to lose. 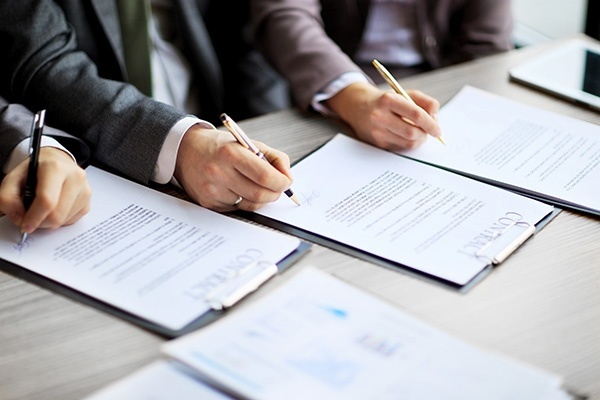 A commercial lease is a legally binding document, so it’s important to ensure that all terms, including those stipulated in the subletting and subleasing clauses, are favorable to all parties involved.